My name is Parivash G. Modaresi. I am finishing my DEP in Computer Graphics from Rosemount Technology Centre in Montreal. I also have a Diploma of College Studies in Fine Arts in Painting. After my graduation I started teaching art and creativity. I now have 8 years of teaching experience. I wanted to combine art with the digital world, so I decided to study Graphic Design in order to present my manual ability in art and innovation to digital form. 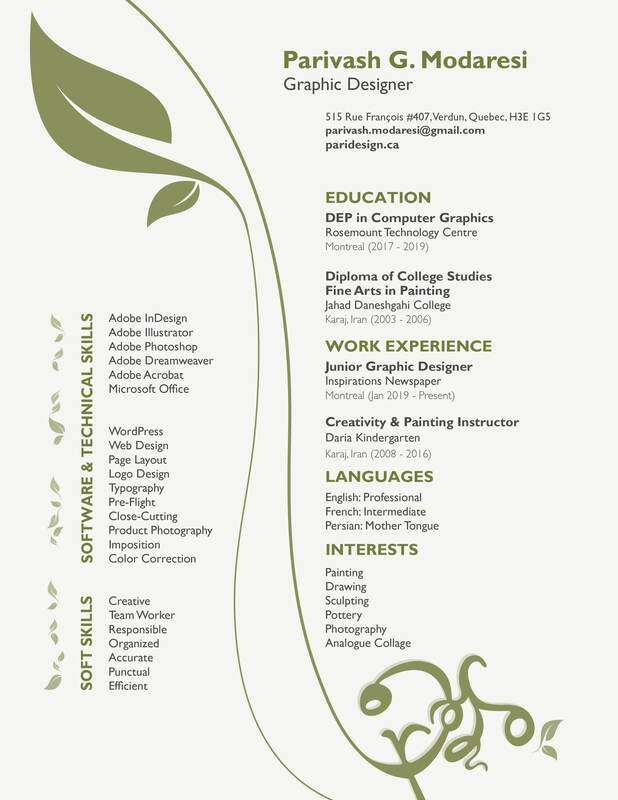 I’m a creative graphic designer and artist who takes initiative and has the willingness to learn.